The notion that a partner or associate must produce 2,000 or 2,400 hours of billable work yearly virtually assures that some clients will be overbilled. Of course, almost all firms have stated policies that forbid…unethical and illegal billing practices. The extent to which these policies are actually followed depends on the firm culture, on unspoken messages that leaders of the firm send to its lawyers. When money becomes the primary goal, a law firm may end up choosing to systematically inflate client bills and even to bill for expenses not actually incurred for those clients. One of the most important aspects of your legal career-and among the most mysterious to young attorneys-is law firm economics. The economics of your particular law firm will have a profound significance in terms of what happens with your legal career. Because of this, smart attorneys and law students should have a good understanding of law firm economics before joining any law firm. Law firm economics often confuse attorneys because they have very few ways of getting the information necessary to fully understand them. Law firms certainly do not tell their associates how the economics of their business work — many do not even tell their partners. This is something that is rarely, if ever, taught in law school. Despite the drought of information, to succeed in a law firm environment, you must have a good understanding of many of the unspoken rules that govern law firm economics. There are several different models that law firms follow. The purpose of this article is to explore the common economic model that governs large and midsized law firms at the law clerk, associate and partner level. The purpose of this article is not to explore how staffing of paralegals and legal secretaries works inside law firms-which is a separate topic entirely. I should note that this is not a pleasant article for me to write because much of what it says is a critique of the legal profession. Nevertheless, the truth cannot be ignored and you will have a difficult time succeeding at a high level inside a law firm unless you understand its economic model. It is important to always be aware that most large and midsized law firms are run to be profit centers and to make as much money as possible. In this regard, the way law firms make money through their arrangements with clients must be understood. There are many different sorts of billing arrangements, from fixed fee to contingency. Nevertheless, in almost all cases, large to midsized law firms prefer the billable hour approach. Historically, law firms simply billed clients by what they perceived as the "value" of the work they were doing. Occasionally, law firms would quote a fee upfront and that would be what they charged. In still other instances, at the conclusion of a case a partner in a law firm might even look at the size of the file they and their associates had worked on an tell their secretary something to the effect of: "That feels like about a $2,000 file. Send them a bill for that." There was a time when the billing done by attorneys was not based on the billable hour. Not too long ago (within the past 40 years), a gradual transition occurred to lawyers basing the value of their time this way. In the nineteenth and early twentieth centuries, lawyers routinely billed their clients relatively standard fees based upon their experience performing a particular service. For example, a simple will might cost $50 at the turn of the century; an uncontested divorce, $200; and, a house closing, $100. Some clients, however, complained that such fixed rates led to price fixing and extraordinarily high hourly rates for some lawyers. For their part, lawyers responded with the Br'er Rabbit defense. "Please, oh, please," they pleaded, "don't throw us into that briar patch of hourly rates. Oh noooo!" Citing the concern over price fixing charges, they agreed to hourly rates as a standard for the industry and touted it as a consumer-protection measure. Because of this sweeping change, the legal landscape has been altered quite dramatically. Today, the economic engine inside most law firms is based on the billable hour. As an aside, I can tell you that I am not sure if this was the best move. In my position as a legal recruiter and having spent the past several years talking to countless attorneys on a daily basis, I do not think I have ever encountered a single situation where an attorney was told they were billing too much-or that they worked too much time on a single project. Conversely, I have come across countless examples of the reverse occurring. Compensation and even many hiring and firing decisions inside most law firms are now based more on production than value produced for the client. 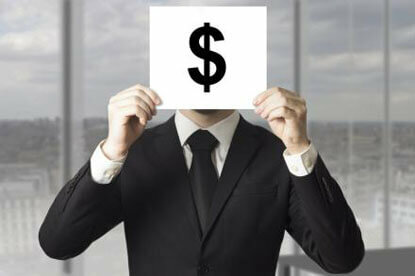 Law firms are almost never guilty of padding their bills and the time their associates work on various matters. I have never heard of an episode of this occurring. However, law firms do as institutions push both their partners and associates to pad their bills. Since the client is being charged on the basis of the billable hour, the client will receive an accurate bill for the hours reported by the attorneys who worked on a given matter. Whether or not this bill accurately reflects the amount of time necessary to complete a given task is another story. The point of this discussion is that once you are inside a law firm, it is essential that you understand the importance of the billable hour in the law firm's profitability as well as the law firm's personal evaluation of you. As will be explained below, the significance of the billable hour will be different at each point in your legal career. Most American law firms are set up in the exact same way. First, the law firm generally will have a least a few law clerks who are law students or young attorneys awaiting bar results. In large law firms, most law clerks are called summer associates. Second, the law firm will have junior, midlevel and senior associates. Third, the law firm will have attorneys at a counsel level and partners. There may also be levels of partners, such as income partners and equity partners. At each stage of seniority within a law firm, your value will change and the economic expectations the law firm has of you will change. Most organized law firms have law clerks. Law clerks are typically called summer associates in larger law firms; however, many large law firms employ clerks during the school year, as well. The law clerk typically makes anything from nothing in smaller firms to a weekly salary that can be in excess of $2,000/week in some of the larger firms. From the law firm's perspective, the purpose of the law clerk position is that it allows the law firm to do recruiting while simultaneously having the opportunity to "try before they buy." Law firms will generally use law clerks for tasks which are not necessarily profitable for the law firm, but usually helpful. For example, a summer associate may be used for research that the firm needs done on an important matter. A law clerk may also be used during the summer or school year for mundane tasks that the firm does not want its associates working on. One of the largest points of the summer associate and law clerk program, though, may be somewhat unspoken. I would argue that these programs exist because law firms need to evaluate whether law students can play the economic game inside of a law firm. A couple of years ago I received a telephone call from a summer associate inside a large Manhattan law firm who had just received their first review from their summer law firm. The law firm was unusually harsh on this summer associate and made several trivial comments about her attitude, drive and focus. In fact, the law firm said so many negative things I asked the summer associate to stop talking after five minutes or so. It was clear she would not get an offer to join the firm following the summer if she continued this way. "How many hours did you bill?" I asked. "I have been billing about 35 hours per week," she said. "Get all the work assignments you can that are not billable to firm clients. The reason you want these is because you do not want to be unethical. Then, for every nonbillable assignment you get, work like there is no tomorrow. Bill at least 70 hours a week for the next 5 weeks of your summer. Work weekends and whenever you get a chance. That is all you need to do." At the end of the summer, out of the 18 summer associates in her class, she was one of 5 to get an offer. The firm's praise of her at the end of the summer was glowing and very, very strong. This is, of course, a very sad commentary on the status of the American legal profession. In virtually every case where I have counseled an attorney in serious trouble with their law firm, I have found that a large portion of the reason they are experiencing difficulty has to do with how hard they are perceived to be working, the number of hours they are billing and-by extension-the amount of money the law firm is making off them. This is something law firms take very seriously. In only one instance out of the 100+ placements I have personally made over the past three years has one of my candidates ever been fired. When I spoke to the law firm about why the associate was being fired, one of the first things they complained about was the fact that the associate frequently left the office before 5:30 pm. I did not need to hear much more. Many associates inside law firms often find themselves in a position where they are claiming that they do not have enough work and that partners are not assigning work to them. When questioned closely, I often find that these same associates are often perceived as not working hard enough (i.e., billing enough hours) on the assignments they receive from partners. Because partners are individually and as a group compensated based on the amount of work the associates they assign work to do, many partners would rather assign work to an associate who is going to work extremely hard on something and bill many hours-rather than an associate who will figure out a way to get the work done quickly and just as effectively. Whether one calls this a conspiracy or something else, in many law firms, associates are expected to bill the maximum amount of time they can to given projects, whether it is warranted or not. This is reinforced through bonuses that are given to the hardest working associates (those who bill the most hours) and in other more subtle ways (such as not assigning work to associates who will not bill many hours). As an attorney working inside a law firm, you are choosing a career where a large portion of your [perceived] value to the firm comes through how many hours you bill and not necessarily your legal skill. One of the most basic rules of law firms is that, often, nothing is as it seems. This is especially true with the junior associate. Law firms love to tell their junior associates that they are unprofitable and that the law firm does not make money off of them. In some respects, this is true. However, the real fact of the matter is that junior associates are profitable-but not as profitable as midlevel or senior associates. In most law firms, a partner can do most legal assignments for clients much faster than the junior associate could. In fact, I dare say that, in many cases, a junior associate could work on a certain matter for one or two days that a partner could figure out in 15 to 20 minutes. If you are an associate with more than one year of experience in a large law firm, you should be aware of this. You have undoubtedly seen numerous associates in your own firm work several hours more than they would need to on an existing assignment. In some respects, then, the employing of junior associates by law firms would not make a lot of sense, then. Every year large crops of junior associates are hired by law firms all over the United States to begin work on important legal matters for the firm's clients. These associates need a great deal of training to become effective at their work. However, junior associates are an excellent source of profit for law firms. "Before we figure out what we are going to do, it would be best to get the answers to the following questions …. I could work on it but my billing rate is quite high. I would recommend that I ask junior associate X to do the work. Their billing rate is almost ½ of what mine is and …"
Upon answering the question, the partner may think of new issues they want the associate to explore. "Well, I am certainly glad we used junior associate x to do this work. There turned out to be many more issues that we need to consider which I was unaware of. I really wanted to ensure we did a good job here and I know it is a bit more than you wanted to spend, so I have reduced junior associate's billable hours on this by 20 %. I really appreciate you trusting us with this assignment." This sort of conversation repeats itself all over the United States probably thousands of times a day. The economics of the junior associate make a tremendous amount of sense from the law firm's perspective-especially if the junior associate is playing the game (and if they have a steep learning curve with each assignment they are, almost by definition going to be playing the game). The amount of work the junior associate may do on a given project is nothing short of extraordinary. The junior associate can make the partner look like the "good one," however, because their billing rate is so much lower. In addition, the junior associate will spend far more time than necessary on most projects and therefore actually end up making the law firm more money. In the process, the law firm is able to train the junior associate on the client's dime. I want to assure you that there are many law firms out there that do not necessarily follow this model or approve of it. Nevertheless, this is the norm at most law firms and the ability to marshal large platoons of junior associates on various projects can be quite profitable to law firms. After getting between 2 and 3 years of experience, an associate becomes a midlevel associate. If you speak with junior associates from top law schools working in major law firms throughout the United States, they will often say things like "I am just doing this for a year or two." One reason for this statement is that they see so many of their fellow associates leaving for careers outside of the law once they become midlevel associates. Many of these attorneys leave because once they are midlevel associates, they are under the firm's microscope and have entered a world where they are actually beginning to be expected to do the work of competent lawyers. The midlevel associate is also at a level where they cannot fool either the client or the law firm with their legal skills developed during his or her time as a junior associate. By this time, the midlevel associate is expected to be a highly developed billing machine, relate to clients and do good legal work. Midlevel associates can be quite profitable to a law firm, as they fill a very good niche for the law firm. First, the midlevel associate can be given assignments by partners and then even delegate a lot of this work to junior associates. Partners enjoy not having to deal with junior associates because they do not, for the most part, know what they are doing. If a midlevel associate is good, they will have the ability to gauge how much work the partner expects to occur by both them and the junior associate(s) on a given matter. Second, the midlevel associate is usually competent enough to get most of the work done-or figure out how to get it done - without asking a lot of questions. Third, the midlevel associate's billing rate is not as outrageous as a senior associate or a partner's billing rate. Therefore, they are also a good candidate for giving clients the appearance of being available to do work at a low cost (albeit, work more complicated than that typically given to junior associates). Most law firms have a party line that says the most profitable type of associate is the midlevel associate. Midlevel associates are almost always the best candidates for legal recruiters because they offer several advantages that other types of candidates do not offer law firms. First, midlevel associates are trained and know what they are doing. Second, midlevel associates can be assigned work without being threatening to partners (most of the time). Third, midlevel associates can be hired without being threatening to senior associates and upsetting the balance of power and appearance of upward mobility inside a law firm. As you should be able to see above, the billing cluster for the midlevel associate (3rd through 5th year) does not appear nearly as threatening to the client as does the billing rates for the senior associate (6 year +) or the partner. Paradoxically, the midlevel associate is also quite effective and, in many cases, almost as effective as the partner. Under this economic model (and every firm's economic model is different for partners, but each has some similarities to the model above), the partner is compensated most highly for the matters they work on themselves. They are compensated less individually for the work that others do on their matters. Here, the partner has more incentive to work on matters themselves and bill at a higher rate than they do to have others within the firm work on a matter. Every type of work assignment a partner gets will be different. For example, some projects may require a partner do all of the work themselves. For the most part, though, in order to hold onto clients, a partner will need to give others within the firm work. Partners inside law firms are all running little individual businesses. If partners price their services too high, then clients will go elsewhere. If the partner does not price their service high enough, then the partner will lose money. The goal is to find a balance. The utilization of midlevel associates is something that is actually beneficial to clients in many cases because the work will be done more efficiently and effectively than by a junior associate. Because of the effectiveness of the midlevel associate, firms utilize them quite often and in most law firms, very little of their work needs to be written off or justified to clients because it is well done. The senior associate represents a very dangerous beast to most law firms. A senior associate generally has at least 6 years of experience. At the senior associate level, most attorneys know exactly what they are doing on various projects. Their legal knowledge may be as good as, or at least comparable to, partners. However, there is very little demand in the marketplace for senior associates, which is largely due to the operation of firm economics. Senior associates represent a problem for law firms because the billing rate of a senior associate will often approach that of a partner. If partners are required by their law firms to bill a certain number of hours, they will be unlikely to give work to senior associates because it will cut into the partner's individual productivity. Unless a firm has a great deal of work coming from clients that are ready to pay large hourly rates, partners would rather do the work themselves than give it to a senior associate. In the law firm environment, the senior associates must get as many billable hours as possible in order to survive. In order for there to be a lot of work for these senior associates, the law firm must have a lot of work that can be billed out at high rates. Even if the law firm does not, the presence of a senior associate creates pressure on partners to generate work to give to these senior associates. The senior associates that are the best at getting work will have the highest billable hours and be the most likely to survive inside the law firm. It is also because of their high billing rates that senior associates in most large law firms begin feeling pressure to generate their own clients. The senior associate who is able to generate massive amounts of work-whether on their own or by being given work from partners in the firm-will be the one who is seriously considered for partner or a counsel position. If the senior associate cannot generate this work, they will be asked to leave at some point because they will not make sense to the firm from an economic standpoint. Many partners will tell you that they wished they were associates again. The most successful partners will not. At the partner level, the responsibility will be to perform good legal work and continue to generate work whether it be from other partners or outside clients. In addition to being self-sustaining, the partner is also expected to feed the economic engine of junior to senior associates with work (at the largest firms). Your success in a law firm will be based-at every single step of your legal career-upon the ability to generate revenue through the billable hour. This is much harder than it may first appear. As a law clerk or summer associate, you will be evaluated based upon your work product and how much other people like you. You will also be evaluated on whether or not you show promise to work under the law firm's economic paradigm. The summer associates and law clerks I have seen not get offers in my career were the associates who did not fit in under the law firm's economic model. They told partners certain work did not need to be done or did projects for the firm with little enthusiasm. At the junior associate level, your responsibility will be to do the work you are asked to do and to work as hard as you can on the work you get. In most large law firms, the junior associate working ridiculous hours is something that is certainly romanticized. The reason this is seen as such a good thing, and that the culture of most law firms portrays it as such, is because this is something that is quite profitable to law firms. Law firms make a great deal of money from junior associates toiling long hours. In order to succeed in a large or midsized law firm, you are going to need to work hard. Midlevel associates are given work because (1) they are efficient and (2) can do the work competently in most cases. While midlevel associates may be profitable to most law firms, their real value is to the client, as they can get their work done competently at a reasonable price. In order to succeed as a midlevel associate you are going to need to be competent and work hard. Senior associates must ensure they get as much work as possible to survive. The ability to get work will determine their success. Whether it comes through other lawyers in the firm, or the work is generated on their own, the need is the same. The same holds true for partners. Depending upon the size of the law firm, the importance of the economic model remains the same: To work as much as possible. When an attorney chooses which law firm they want to work for, the most important thing they should be considering is whether they can realistically move up the given law firm's food chain with their given set of skills and work ability. Given the economics of most law firms, this will not be possible. From most law students' and lateral associates' perspectives, the very best firms to work at are the largest and most pretigious law firms. These are also the firms, coincidentally, that have the highest salaries and the most fleshed out economic models. This may be the best choice for you, or it may not. For any lawyer, the key to survival is to generate work. The work can only be generated if there is work to give. In large law firms with massive clients, they will usually have a limited amount of work to give out at the partner, counsel and senior associate level. The amount of work available to give out will increase dramatically at the midlevel and junior associate level. In order to succeed under this economic model, by definition you need to work hard at the junior associate level. You then need to become competent at the midlevel and get as much work as possible. The senior associate to partner and counsel level involves the ability to continue working. Because this is so difficult, it is at this point that many attorneys go in house or to smaller firms. The lure of an in house position is an escape from the competition to get work. The lure of a smaller firm is most often lower billing rates which means that clients are more willing to give the firm's attorneys work that would otherwise go to larger law firms and thus can be worked on by senior associate level attorneys with much lower billing rates. Another lure of the smaller law firm for senior associates is that they can attract their own clients with lower billing rates. At a large law firm that does work for large clients, the billing rates may be so high as to all but cancels out the idea of bringing in all but the largest clients. At the end of the day, you need to understand that surviving under the law firm economic model is almost entirely dependent upon your ability to continue working-and working as much as possible. How you achieve that is up to you. You are not going to get more work, though, unless you prove you will work hard, play the economic game and get the people with the work (whether they are other attorneys inside your firm or outside clients) to like you and give you work. Which Legal Jobs Will Pay the Most? LawCrossing Fact #80: Users who tailor their job searches (e.g., according to minimum or maximum years of experience) will have an easier time finding jobs they are qualified for than those who don’t.